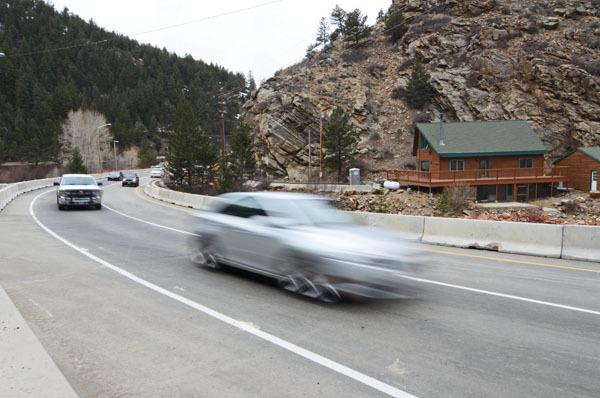 IDAHO SPRINGS – The same morning the biggest construction project on Interstate 70 in 20 years got under way closing eastbound lanes, a downed power line further complicated the area for drivers, forcing a westbound closure as well. Through much of the morning Monday, traffic in both directions was sent over detours on nearby frontage roads at much slower speeds. The eastbound detour will remain in place through the fall or early winter as crews complete a $106-million widening project, expanding one of the tunnel bores and adding a third lane to a four-mile segment of the highway. The power line went down at roughly the same time as the long-awaited closure after it was reportedly hit by a truck. Customers in Idaho Springs and as far west as Georgetown lost power and cellphone service as Xcel Energy worked to repair the problem. Colorado Department of Transportation officials say the power line issue did not impact the launch of the Twin Tunnels project, which began in earnest Monday after months of preparatory work and single-lane closures. A 24-hour detour will send eastbound drivers over a two-lane, 35-mph frontage road that was the primary highway route to the mountains up until 1961 when I-70 was first constructed. Officials say on light travel days the detour should increase the trip from Summit County to Denver by only a few minutes. During heavy congestion, traffic is often traveling through the detour area at slower speeds than 35 mph anyway, and is therefore not expected to greatly impact peak travel times either. But Colorado Department of Transportation Officials have promised to take all possible measures to limit the traffic impacts of the work. The CDOT website (cotrip.org), social media and a new smartphone application will also provide regular updates on blasting schedules and project impacts. The widening is set to be completed by the end of the year, but CDOT has offered the contractor incentives to get it done sooner.